The increased interest in work-based learning opportunities comes at a time when companies nationwide are calling for more skilled workers, and not just for jobs that require a college degree. In June, President Donald Trump signed an executive order that called for private companies to create apprenticeship programs for students to address both workforce needs and a “skills gap.” Many employers say they are unable to find qualified workers for jobs. Brent Parton, deputy director of the Center on Education and Skills at the Washington-based think tank New America, said that’s why companies are stepping up to participate in educational programs that could build their workforce. “More and more, employers are realizing the education system can’t, nor should it be, producing exactly what they need without their engagement and importantly, their investment,” Parton said. Nationwide, about 65 percent of public high schools reported offering opportunities for students to participate in work-based learning during the 2007-08 school year, the last year data on the topic was collected by the National Center for Education Statistics. However programs like Harwood’s that offer academic credit in core subject areas are rare, Parton said. Many programs offer only job-shadowing opportunities or internships with little depth or responsibility. Several states have taken steps in recent years, however, to ramp up work opportunities for students, often in an attempt to address workforce needs. New York’s Pathways in Technology Early College High Schools, or P-TECH schools, offer students a high school diploma and an associate’s degree upon completion of coursework. During the program, students have access to internships and work experience. Utah launched a program in 2015 that uses work-based learning to teach high school students about the state’s aerospace industry. Montana’s Department of Labor & Industry offers a curriculum and assistance to teachers running work-based learning programs. 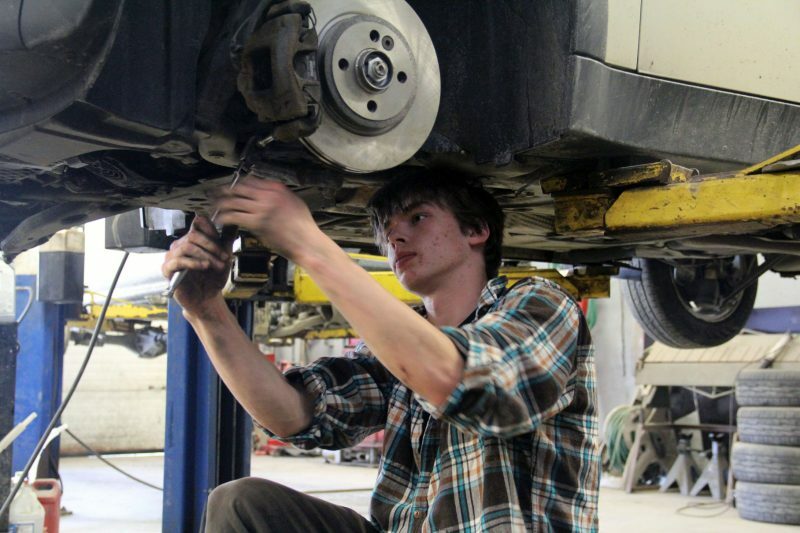 For the past four years, Vermont has prioritized broadening work-based education in secondary schools, to include more than what has traditionally been offered in career-technical education. In 2013, the legislature passed Act 77, the “Flexible Pathways Initiative,” which encourages schools to expand opportunities to programs like work-based learning, increase access to virtual learning experiences, and amplify the number of dual enrollment courses. 65 percent — Percentage of public high schools offering some form of work-based education. “Teachers have always been presented with a question, ‘Why do I need to know this?’ Work-based learning provides an opportunity to give students a really robust answer to that question,” DeCarolis said. Veronica Newton, work-based learning program coordinator at the Vermont Agency of Education, said the state hopes that students are “actually ready and prepared for life after high school,” after pursuing a flexible pathway, regardless of whether they choose to continue education or join the workforce. “It gives them opportunities to really expand the learning beyond the classroom,” Newton added. 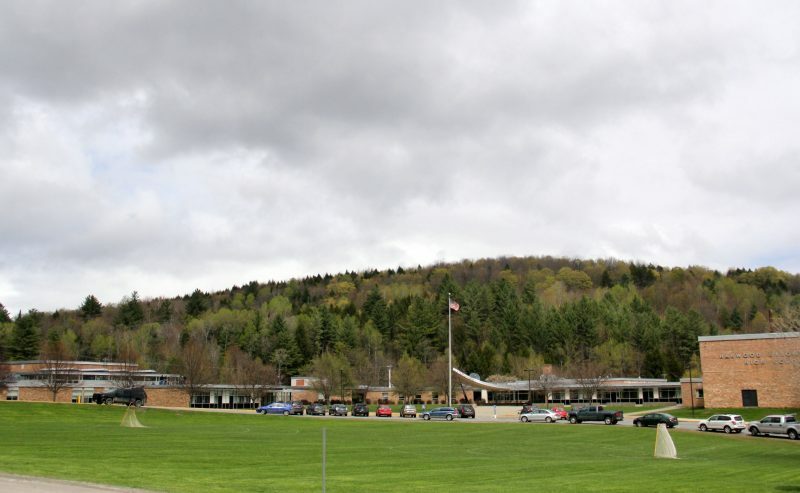 Although Vermont’s graduation rate — 88 percent of high school students graduate in four years — is well above the national average, only 52 percent of graduates went to college in 2013. Forty-five percent of Vermont’s college-going students attend schools out of state. Many Vermont educators and people in the business community see work-based learning as a strategy to better prepare students who are not college-bound for the state’s available jobs. Businesses report a shortage of qualified workers for “middle-skill jobs,” those that require some education beyond high school, but not a four-year degree. Such jobs made up about 49 percent of the state’s jobs in 2015. Experts and Vermont teachers say work-based learning could also address the persistent problem — especially in rural states — of a “brain drain” of youth leaving for more urban areas. “Offering these kinds of opportunities allow students to really see what’s available here in our community,” said Potts of Harwood Union High School. 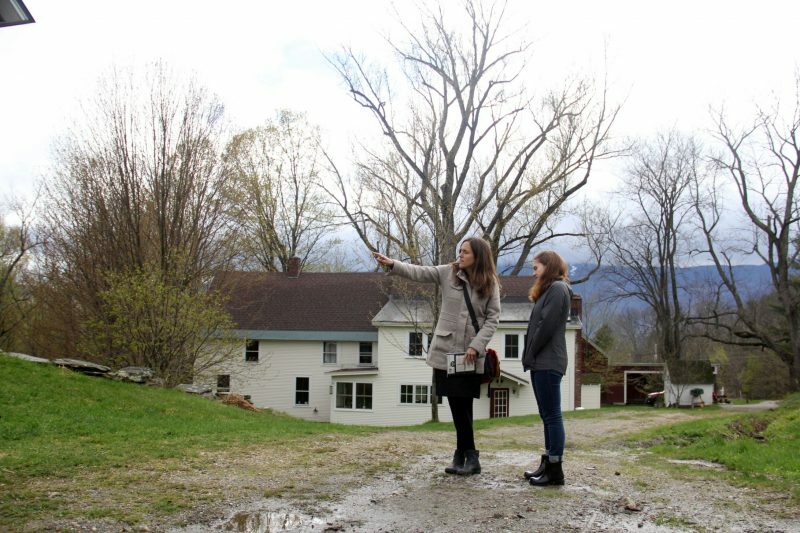 “My hope is eventually if [students] leave the state for college, they might think about all of the cool things that are offered right here in Vermont so they come back and raise their families here.” said Potts. The state is so serious about growing work-based learning programs in its high schools, it now offers a teaching endorsement for staff members who run these programs, and grants to help schools launch or expand them. Between September 2016 and June 2017, the number of licensed work-based learning coordinators in Vermont increased from 38 to 53. Next year, the state will ramp up professional development opportunities for work-based learning coordinators, state officials said. Before students can earn academic credit, they must complete a final project, which is then assessed by a highly-qualified teacher in that content area. Potts said students have written papers, designed structural models, or created business plans for their projects. At Harwood, Potts said, the school’s work-based learning program spans more than work experience. Potts and her colleagues try to introduce all students to potential careers to get them thinking about post-graduation life earlier, as soon as they start high school. The school’s program begins with a semester-long class for ninth graders called “Personal and Future Explorations,” which introduces students to careers and other learning opportunities they can opt into at Harwood, and in which every student completes a job shadow or speaks to people in fields they are interested in. Students who participate in the program’s work-based learning experiences say they do so for a myriad of reasons, including the chance to earn academic credit, being able to explore a potential career path, and earning real work experience before college. Recent graduate Caleb Eurich learned about finance hands-on through Harwood’s program by working at KDP Investment Advisors, a financial investment firm in Montpelier. He did research involved in trading bonds, participated in daily meetings, and managed data in spreadsheets. Eurich also earned credit in economics, part of the social studies curriculum at Harwood, which meant he graduated with a full four years of social studies credit on his diploma. 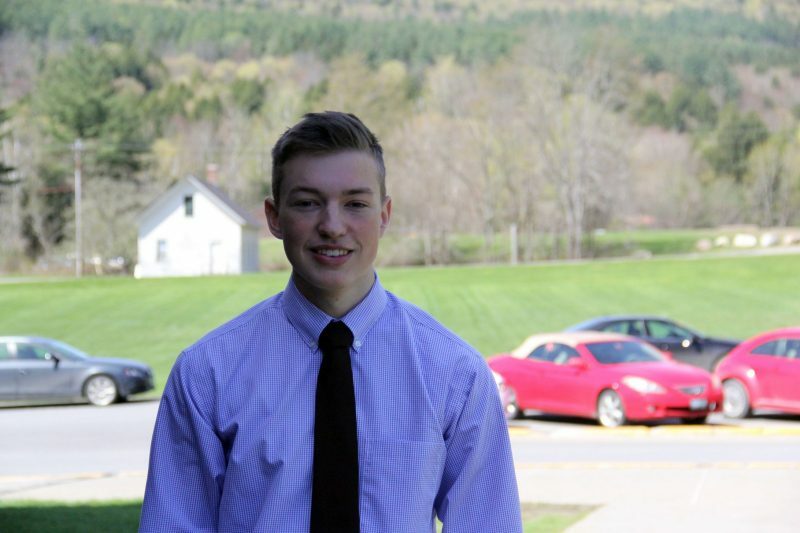 He believes colleges view him more favorably because of those credits, and adds the experience also helped him decide to pursue a degree in economics and finance at Bowdoin College this fall. Harwood’s program is open to all students, including students with disabilities, students in the district’s alternative learning center and students taking advanced, college-level courses. “Our goals with all students, regardless of whether they’re on an IEP [for special education students] or whether headed to Harvard, are the same,” said Ellen Berrings, the employment and transition specialist at Harwood, who co-directs the work-based learning program with Potts. Related: Do black students really need college to get high paying jobs? Students say the experience of working while in high school can be life-changing. 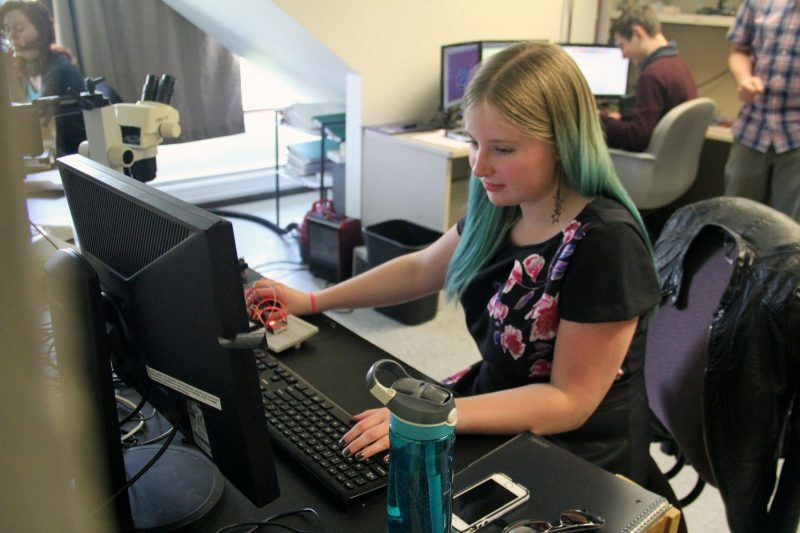 Work-based learning introduced recent Harwood graduate Anna White to new science and math topics, including special optics and coding, which inspired her to apply to postsecondary electrical engineering programs. 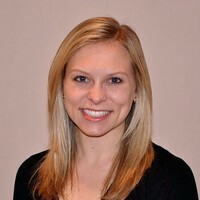 Potts invited White to a discussion with a local electrical engineer at the beginning of her senior year because White wasn’t sure what kind of career she could have in a science or math field. White ended up working two days a week at Creative MicroSystems, a company that provides design and engineering services for other companies. “I was skeptical at first,” White said. But she quickly became passionate about the work. “It was an eye-opening thing.” This fall, White plans to study engineering at Wentworth Institute of Technology in Boston. Despite the benefits of work-based learning, it has yet to become a common option for high school students. “Right now in this country, we still view work-based learning as a ‘nice to have,’ as an add-on, versus something that’s being deeply integrated within our learning system,” Parton of New America said. That may be due in part to the challenges involved in creating a work-based learning program. Rural areas may not have transportation available to take students to job sites, or even many useful job opportunities for students. Potts says that if schools do not have a designated point person for work-based learning, it can be hard to build relationships with employers and match students to relevant work opportunities. Potts said it’s also important to make sure the work experience is meaningful and relates to academic content. Each student who participates in Harwood’s program and is receiving academic credit, not just an elective credit, has an academic adviser who helps home in on academic standards or proficiencies, depending on graduation requirements, to determine how the work experience relates to content areas. For Jackson Greenleaf, 16, who is earning English credit while working with a music critic, that means studying the state standards with English teacher Jonah Ibson to make sure his work activities, which involve writing critiques of music, align with writing skills from the standards. Silas Woods worked with two advisers to align elements of his work at the garage with academic standards. Eric Larose, a student support specialist at Harwood, said he has used math standards from Harwood’s personal finance class to make sure Woods is learning important math concepts. While working at the garage, Woods developed a business plan, which included creating a budget and learning about payroll and taxes. Science teacher Alex Rawson said he worked with Woods on “communicating and using the language of science as related to auto industry,” to ensure Woods’ job could translate into credit. That means being able to understand concepts like friction and mass and use that understanding to explain to a client why brake pads would last longer in a smaller car, for example. Larose said Woods’ investment in his education has improved greatly since starting his work placement. “This is a guy who wants to meet over school break and do more work, and do more math,” Larose said.